So here are the responses, segregated according to their respective fields. b. Write what scares you. d. Write what you’re passionate about. f. Write when you don’t have time. g. Write when you do. h. Write in another genre. i. Write in other formats. l. Write instead of doing that other thing. n. Write what you want to read. Jim C. Hines is the award-winning and bestselling fantasy novelist responsible for the Princess series, where the concept of “damsel in distress” does not apply. 2. Study those who are already at the professional level. 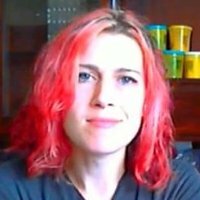 [To those writers serious about going pro] I say, study those who are already doing it, especially those you wish you could write like when you grow up. First, read with a purpose. Stop reading recreationally and analyze what makes an author successful at what he does–at least in your eyes. Second, read what your favorite authors have to say on the craft. Most of them have written at least one book on the writer’s craft. Third, network. Attend conferences and conventions. Be aware, though, that some of the people on the panels you go to are little more than place fillers. Listen to those you know and respect. They’re seasoned enough that they’re much less likely to steer you wrong. Fourth, save up and do at least one workshop. If you can afford it do as many as you can. There are a number of good online workshops that can at least save on travel and room expenses, if not the workshop fee. Quite a few pro authors run yearly or bi-yearly workshops. See if your favorites do and make it a goal to go. 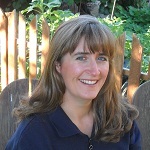 Suzanne Vincent is the Editor-in-Chief of Flash Fiction Online, which publishes top quality flash fiction stories of any genre. There are so many issues an aspiring creator has to face, but for almost all of them, the answer boils down to the thing that is both the simplest thing to remember and the hardest thing to accomplish. DO GOOD WORK. If you draw well and with originality, if you write well and with style, your odds of breaking in leap up immeasurably. People looking for hidden doorways and secret codes are missing the point. You have to do good work. And to make that happen, the advice I have for everyone is…build a library. Seriously. Go to your local bookstores and buy every history and reference book on the bargain rack. I have a bookcase full of books I have picked up this way and I have to tell you, nothing beats it as a Story Creation Machine. For artists, there is no reference like a great reference book, nothing that exhibits the human experience in the same way. Websites are wonderful, but books provide focus and depth, and they provide it without distraction. But for writers, it’s a ridiculously inexpensive and never-ending source of ideas. My very first pro comics work, DEADPOOL, for Marvel Comics, the villain was a straight lift from King Ludwig II, the “Mad King of Bavaria,” who built fantasy castles and was obsessed with swans and the music of Wagner. I always say, if you read a history book, pretty much any history book, and you don’t get a raft of ideas, maybe writing isn’t the thing for you. Buy a cheap shelf, go to the local bookstore, buy books on the remainder table, whatever non-fiction they have on almost any topic. Geography, ballistics, mythology, true crime, anything. It WILL pay you back many times over. But above all, history. You will come up with ideas you hadn’t even thought possible, reading this stuff. 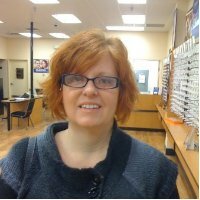 Gail Simone writes comic books and is best known for her work on Birds of Prey and Welcome to Tranquility. *Act* like a professional. Treat it like a business. If your mind says it’s a hobby, then that’s all it’ll ever be. You can be a brilliant blogger, but if you don’t understand how online business works and how your readers and customers think, you’ll struggle to succeed. So read about running a business online, read about marketing, watch free training webinars, and get to grips with your blogging business model. Doesn’t matter whether you plan to monetise with ads, affiliate partnerships, your own products, or services you can sell. Doesn’t even matter if you *don’t* plan to monetise your blog at the moment. If you want to take your blogging to a professional level, take it seriously and invest your time and energy in understanding how it works. Sophie Lizard runs Be a Freelance Blogger, where she mentors other writers on how to make blogging a full-time career. 5. Make your work simpler to do. The fact is that even though you may think you have all the time in the world when you blog full time, you’ll most likely hit the wall if you spread yourself too thin. That’s why you should have a clear vision and your goals in mind all the time when working, and figuring out what kinds of results you really want. Once you know this, find out ways to eliminate or delegate as much non-essential work as possible. All this takes time and putting focus on these aspects will eventually pay dividends. Also, make sure to create simple systems and workflows for making your everyday work smoother. Document your work and create checklists. That’s how you make your work simpler for you. Timo Kiander uses his blog Productive Superdad to teach people how to cheat the clock and get more things done in a day. I would say first and foremost–make sure you have a solid aerobic base. Many don’t know or appreciate this, but going slow and building lots of mitochondria in the muscles can lead to faster speeds. Once that is established, then look into some speed work, following a plan that is tailored to your current fitness level, progressing you on a weekly basis. Strength work, core work, and stability work should all be a part of this to keep optimal range of motion part of the equation. 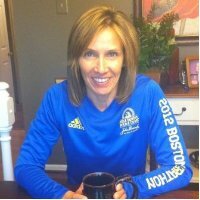 Amanda Loudin is a running coach and fitness writer with articles all over the internet, and is known online as Miss Zippy. My top tip is: Communicate more than you think you have to. People need to hear an idea several times before they start to believe it. It helps to have the same message in a variety of formats and delivered by different people, and it’s a massive help to have people in senior positions like their boss and the project sponsor give the message as well as you. 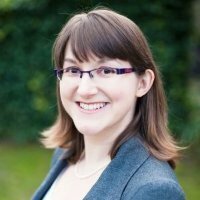 Project management guru Elizabeth Harrin writes the award-winning blog A Girl’s Guide to Project Management, where she coaches people (not just girls) how to herd cats and get things done. Don’t forget to practice being creative. It’s easy to think about practice in the context of becoming a better guitar player or a better singer, but people forget that you also need to practice being a Creator of Things. Whether you write songs or novels, whether you draw or paint or sculpt, if you do a little bit of that every day, you absolutely will get better. Not only will you create better things, but you will find the act of creating gets easier. This is universal to all skill levels. Even successful, award-winning, world-famous creative people will tell you that talent is in many ways the least of their worries – the hardest part is getting over that initial hump of self-doubt and self-censorship to the place where you forget yourself and can just go. It’s a totally different process from practicing your technique. In fact, you sort of need to forget about your technique while you’re doing it. Writing is best done as an act of play, and with joyful, almost purposeless state of mind. Once you’re in that flow it feels effortless, but you can get there more easily if you practice doing it. 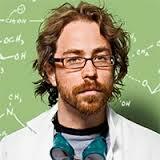 Jonathan Coulton is a singer-songwriter and Internet superstar who has made a career singing about geeky things. What a great selection of pros and a great selection of responses. What’s interesting is that you can transfer a lot of what’s said from one skill to another – doing good work and acting the part, for example, are good tips for any skill that you are looking to build or any profession that you are trying to excel in. Thanks for the article, and for including me in it! That’s so true, Elizabeth! Professionals are professionals, no matter where they work. Thank you so much for participating! I absolutely agree – no matter what you do, to do it well you have to follow the basics – plan your time efficiently, learn to communicate, and most importantly – JUST START, which can be the toughest part. Thanks a lot, Patrick, for mid-week inspiration! You’re welcome, alliehere! Glad you’re enjoying the blog!